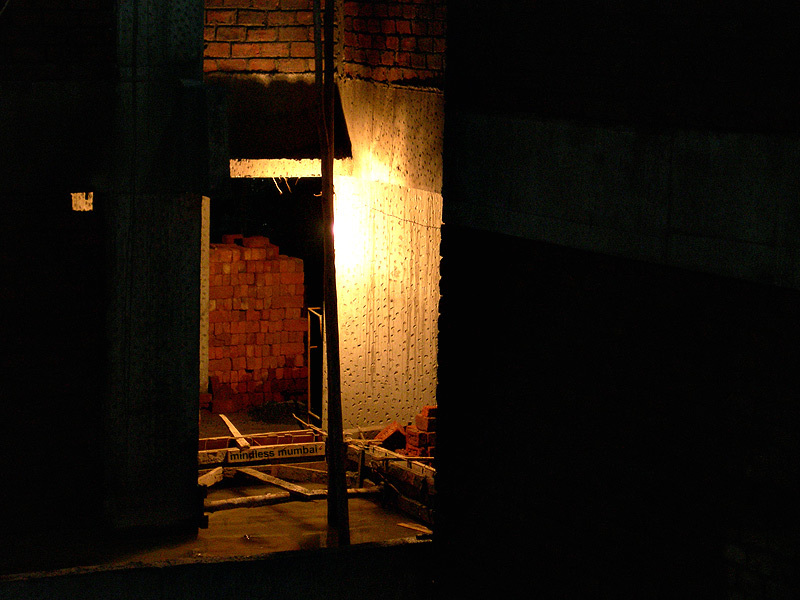 the neighbouring under construction building is offering interesting photo-ops with the lighting and the texture of the materials. haven't been regular with posting due to college work, and the coming days seem to be as tight. this btw is the 175th photo on mindless mumbai! Powerful contrast between shades and light. Great one. haha, indeed is! great contrasts there!